Over lunch I often chat with Emily. She is a capable and ambitious young colleague and I noticed her eyebrows were carefully made up. So I asked her about it. “Eyebrows are one of the most important aspect of a made up face today” she suggested. I have never worn anything on my eyebrows, and don’t wear much make up at all. I asked to tell me more about modern trends and her interest in make up. Why does someone young and pretty feel the need to wear make up? To me it is like any kind of creative hobby – I play music, dance, do my hair, nails and make-up. It is pure enjoyment! Of course there is an element of transformation – enhancing what is naturally there. I do wear make up everyday, and have been doing since I was about 12. But I don’t feel uncomfortable without it – if I have been swimming for example and I go into a shop on my way home. I just like having nice nails, hair and make up. I would say 15-20 minutes. I am automatic pilot in the morning and I just do it as part of my daily routine. Its not always exactly the same everyday. Depending on my hair, clothes and mood I will give more or less emphasis to the make up. If my clothes or hair are very dressy, then I play down the make up – leaving out the contouring. I don’t really use colour – just neutrals and browns. I wear a clear lip balm, or a lip stain or a full on lipstick depending on my mood, clothes and hair. But always something. Estee Lauder Sumptuous Extreme mascara in black. I don’t know why I put this on last. It just makes the whole face. It’s a Kim Kardashian thing! Basically it is shaping your face using shading to emphasise where light will fall, using deeper colours to sculpt and lighter to highlight You can get creams or powders to do this – and of course there are kits – contour kits. 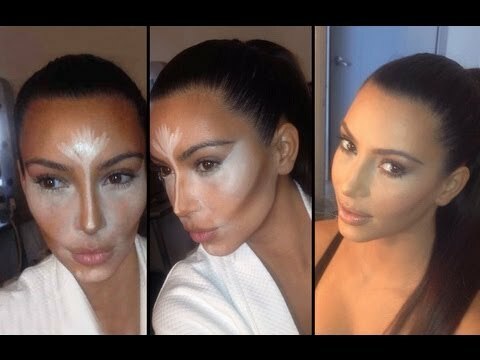 I think with Kim Kardashian there were rumours about plastic surgery – with people saying “no – it is achieved with make up alone!” Contouring can create a very striking effect – almost more so than surgery. Here is a picture of Kim, showing how it is done. Hollywood, stage make up, the movies – I suppose make up and masks have always been part of the world of making people look different? 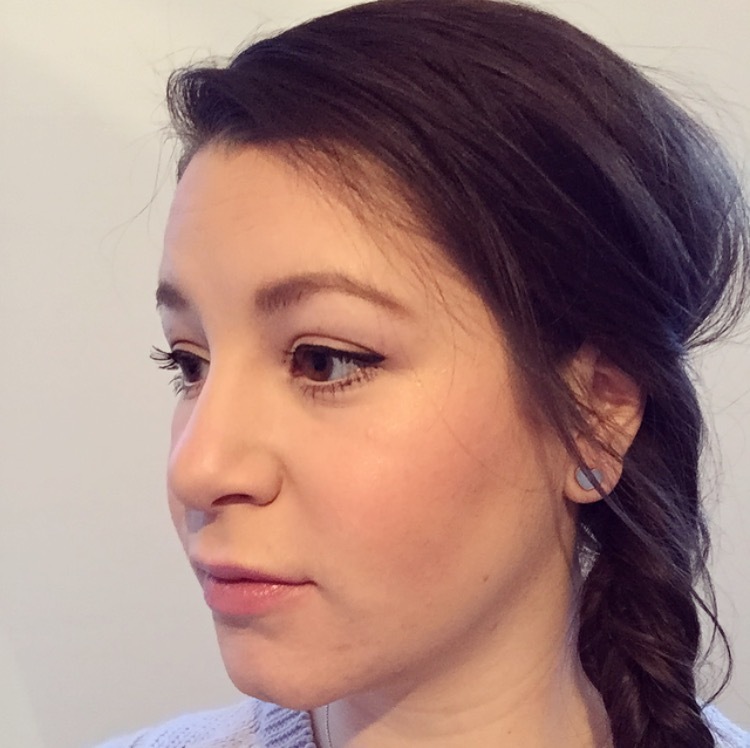 Yes, but there has been a backlash against contouring. High coverage make up can be like wearing a mask. I mean if you have it done for your wedding, or for a photo shoot, you might not actually be recognisably yourself. And it would be funny at your wedding if you couldn’t kiss your husband for fear of the lipstick or highlighter being upset. I think the philosophy that I have – that make up is to enhance nature rather than disguise it – is catching on. I wear make up but you can still see my skin – that I have imperfections. Always take it off at night. I use Simple face-wipes. Go easy on colour – neutrals look best for day time wear. Sweet article! Very original yo interview people from work and actually the best way to know people’s tastes and trends in general. I’d absolutely love to wear more make-up but every attempt is met by screams and shrieks of disapproval from loved ones. 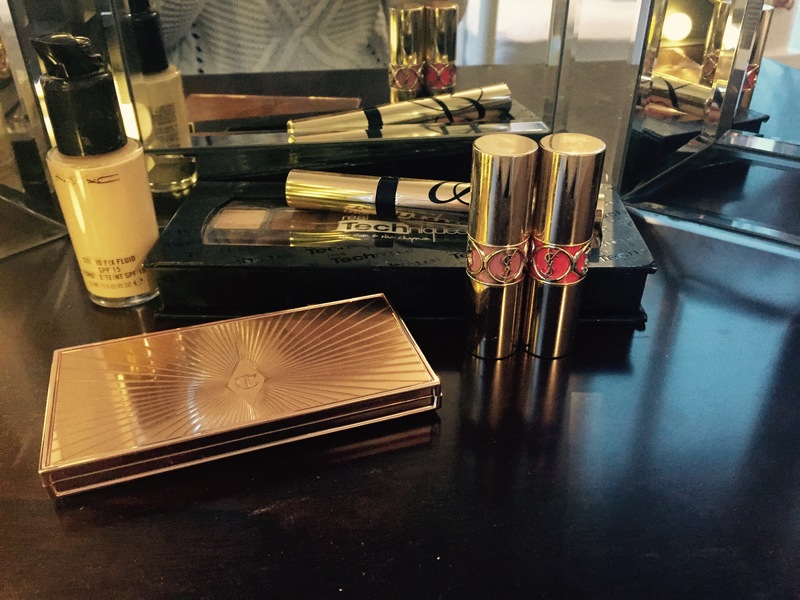 If I want to wear lipstick, I wave quickly on the way out so they don’t know…. No, not my parents, my children. This is so funny – our kids can be so conservative (and OHs sometimes). Yesterday I finally bought some blush, and after watching a you tube video decided to branch out and buy concealer as well. Needless to say, I look a little funny today, ha! But no worries as I’m busy sewing my oriental inspired pjs ! And by tomorrow I am sure I will tone it down! 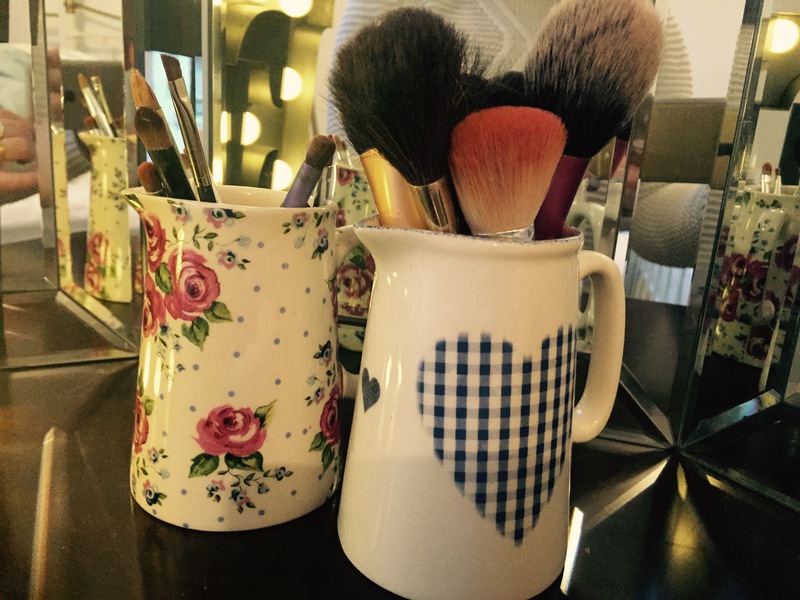 Personal , I would just love to look “polished”… Enough, not enough make-up…? I am surprised Emily would use less make-up for a more dressed up outfit. Live and learn! . I do like the idea of enhancing, but sculpting, with make-up, I would be …well, afraid! Always great to read your blog post Kate. Hope your swap is coming along to your liking. Thanks J – you are a scream! I think Emily finds being very dressed up and having a more dressy face too, to be too much. But if her clothes are casual she feels she needs to make a bit more effort with the hair and make up. It sort of makes sense. Looking forward to seeing you silk pyjamas! I’ve always felt the need for make-up, starting when I was about 14 I think. As long as I bought it out of my pocket money, mum didn’t mind. As I wore glasses, I felt it gave my pale-lashed eyed a hope of showing up…and Although make-up was banned at school, I never got pulled up on it, because no one looks past glasses I assume! I didn’t start wearing ‘full slap’ until I was in my late 20s, and I realised that those ..er..vibrant 1980’s colours looked better with a base. I’m brave enough [or blase enough] these days to venture outside without any makeup…but no further than the local shops. If I go without, people ask carefully if I’m ill! I can’t get my head round all those brushes and contouring products though, I can still do ‘full slap’ in about 10 minutes.